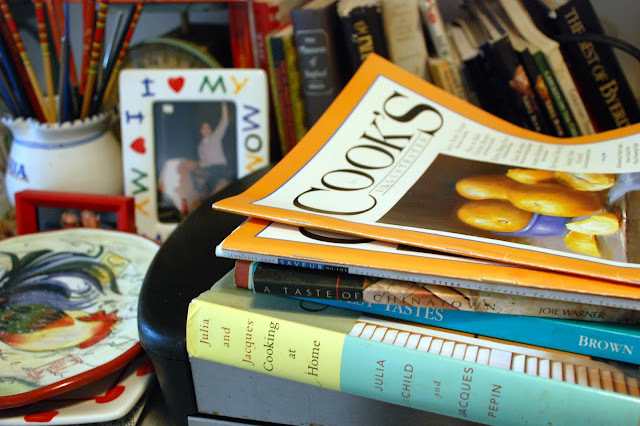 Since the early 80’s, my two best sources for recipes and cooking methods have come from Cook’s Illustrated and Martha Stewart. If I am entertaining, I always come out 110% when I am making something from either publication. A new edition of Cook’s Illustrated comes out every two months and I read it from cover to finish in one sitting. They accept no advertising and is set apart by extensive recipe testing and in depth lessons on how to make each dish. I love this part. It goes into the science and you come out with a pretty good understanding of what works in a recipe. I was hooked on this magazine the first time I cooked Orange Chicken. It is problem and solution spelled out and tells you a lot about what they tested and what did and did not work. I go on this website anytime I am making something new. It gives you a lot of information on the best way to make a dish that leads to nearly bulletproof results. The magazine also runs detailed evaluations of both kitchen equipment and name brand foods and ingredients. It has helped me select everything from the best extra virgin olive oils to pancake syrup. Since the early 1980’s, I have been using Martha Stewart’s cookbooks. One Christmas, I wanted a new recipe for French Onion soup, which was a tradition in my house Christmas Eve. The recipe called for sherry and Gruyere cheese. It was the best French Onion soup recipe I have ever made. And just as an FYI, everything I have cooked over the years from Martha Stewart has been outstanding.